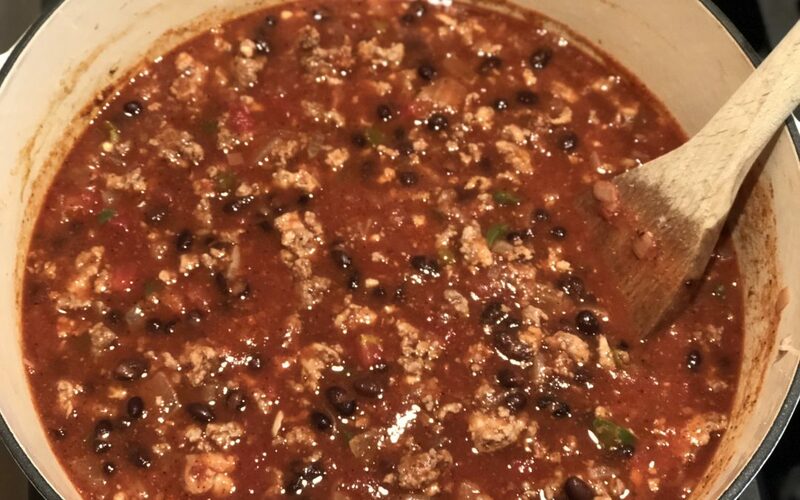 Chili is one of our all time favs. It is filling and the ultimate comfort food on a cold day. 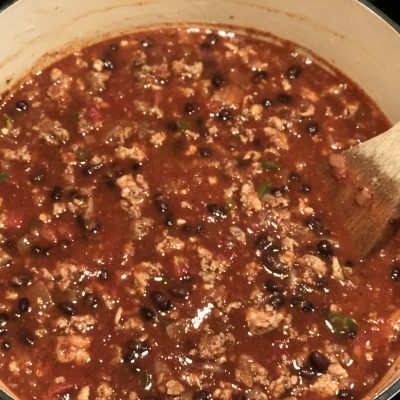 I love this recipe because it is not only DELICIOUS, but it might be the quickest homemade chili you will ever make. To make it a little more "special" I add a little shredded cheese, greek yogurt and (nitrate free) bacon. Bacon makes everything taste better! Brown the meat with the onion in a large skillet over high heat, about 5 minutes. If the meat is fatty, brown alone first, drain off the fat, then brown the onions with the cooked meat. Add all other remaining ingredients and simmer for 30 minutes to 1 hour. Check the seasonings and serve. This recipe looks great, as does the whole page. I didn’t have any trouble saving it to Pinterest.